Certain by-products of wastewater treatment, known as biosolids, and non-hazardous residuals from solid waste treatment, can be used, under certain circumstances, in limited agricultural applications or as landfill. These uses are governed by the Guidance and Regulations Governing the Land Treatment of Wastes (7 DE Admin. Code 7103). Sewage sludges that are solid, semisolid, or liquid residues generated during primary, secondary, or advanced treatment of sanitary sewage. Treated sewage sludge that has undergone an approved process to reduce pathogens, reduce the attractiveness of the material to disease vectors (flies, birds, rodents), and that meets limits for certain pollutants are known as biosolids. 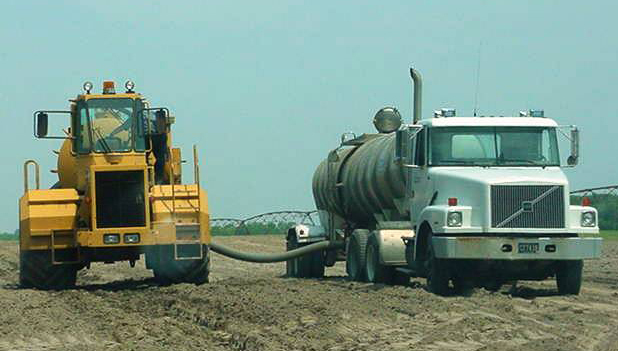 Biosolids are typically used as a fertilizer or soil amendment, or are disposed of in a landfill. EPA regulations (40 CFR Part 503) establish the minimum national standards for the use and disposal of biosolids. EPA’s standards are incorporated into Delaware regulations. The state’s rules include additional requirements and safeguards that are not required in EPA standards. Non-hazardous residual materials from waste treatment that do not contain a sanitary waste component can be permitted for agricultural use under Delaware’s Land Treatment regulations. These waste must meet regulatory limits for certain pollutants and must be suitable for use as a fertilizer substitute or as a soil amendment.